Exterior Pest Control – Grand Rapids Pest Control, Inc.
• Pest elimination and prevention: Spiders, ladybugs, earwigs, houseflies, pill-bugs, sow bugs, crickets, millipedes and centipedes, strawberry-root weevils, box-elder bugs, general ants, etc. 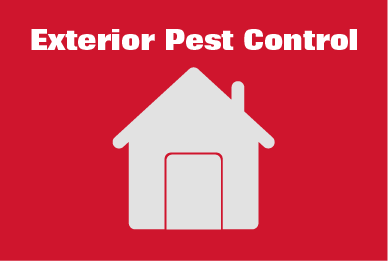 Pest must be specified prior to service, in order to target appropriately. Products listed below. This treatment provides prevention and/or elimination of the listed pests on a residence exterior. If you wish to eliminate or prevent any of the pests listed on a building’s interior and exterior, please select our product category “Specific Pest Control: Interior & Exterior Services.” Initial treatment is priced as indicated. Any re-treatment needed before December 31 (the year of initial service) is performed at half the initial rate. *Special note on spiders: if you are part of a large group (20+ properties) that wishes to order exterior spider service, Grand Rapids Pest Control offers a special discount for groups in one general location. To learn more about this service, call us at (616) 784-2888 or (888) 518-6796 out-of-area, or click HERE. Additional charges will be applied to your order if you need immediate or Saturday service. Cost for these services if needed are an additional $50.00 If ordering by email: please include these extra fees in your total when sending your order. Please send order information to our email Thank You!